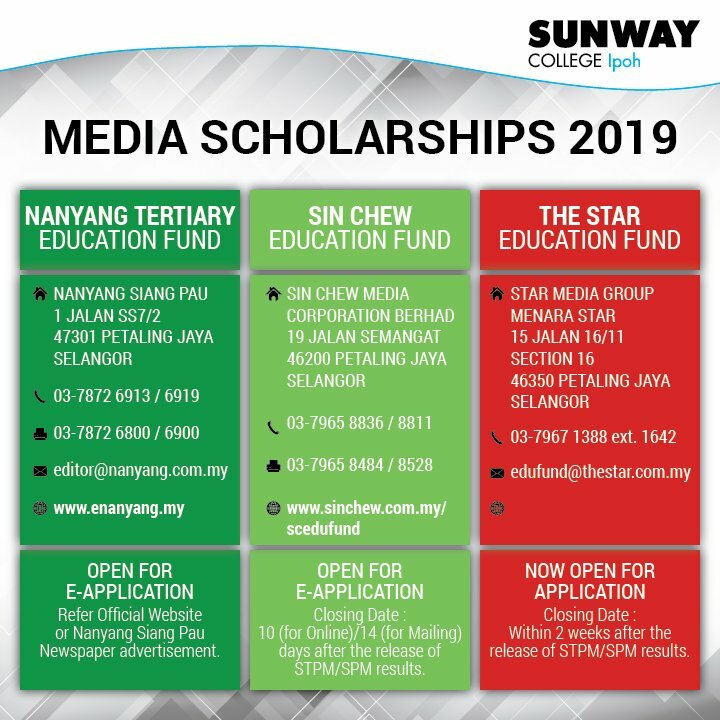 Application for "Nanyang Siang Pau Education Fund" is only open to applicants of 25 years old or below, and possesses good results in SPM / A-Level / STPM / UEC or other equivalent qualifications. 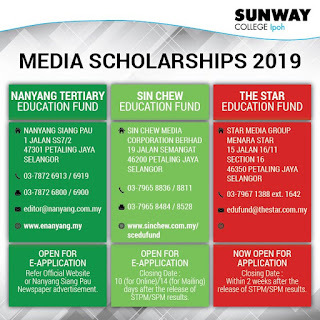 "Nanyang Siang Pau Education Fund" is not directly offered by “Nanyang Siang Pau” and is not cash award but will be in the form of tuition fee waivers for the academics courses to be offered by participating Colleges/ Universities with the direct deduction from the tuition fees. The scholarship shall be in the form of full or half or partial fee waiver for the whole duration of the particular course. All of the full or half or partial scholarships given under "Nanyang Siang Pau Education Fund" do not include other fees such as living expenses etc. Trial examination results do not qualify for the scholarship award. Each applicant is only entitled to one application. Applicant must meet the minimum requirement set by the college/ university in order to be qualified for selection. Applicant must meet the minimum requirement set by college / university in order to be eligible for the next semester’s scholarship awards. The recipient is required to obey all rules and regulations of the participating college/ university at all time and is expected to conduct himself / herself in a respectable manner. The participating college / university and "Nanyang Siang Pau" are not obligated to extend the award beyond the existing academic period. The applicant must complete the prescribed "Nanyang Siang Pau Education Fund" application form and accompanied by certified true copy of last examination results (recognized by school), applicants recent passport sized photograph and parent’s pay slip (such as EA Form). The applicant must produce original copy of the examination results and all other relevant documents during the interview. The recipient need to attend all classes, lectures, tutorials and lessons as required by the said Course regularly and diligently unless he or she is medically unfit to do so. The selection shall be based on the applicant’s examination results, family background and applicant’s extra-curricular activities (attached with extra-curricular certificate). If at any time the information given herein is found to be untrue, false or misleading due to willful neglect, Nanyang Siang Pau shall be at their discretion, withdraw the qualifications. In the event of any conflict between the Chinese and English versions as stated in this application, the Chinese version shall prevail and shall be the principal and primary text of interpretation. The scholarship close for submission on 6th April 2019.